Nikola Pekovic, president of Partizan Belgrade sent a letter to Euroleague CEO Jordi Bertomeu, notifying about his club withdrawal from Eurocup. 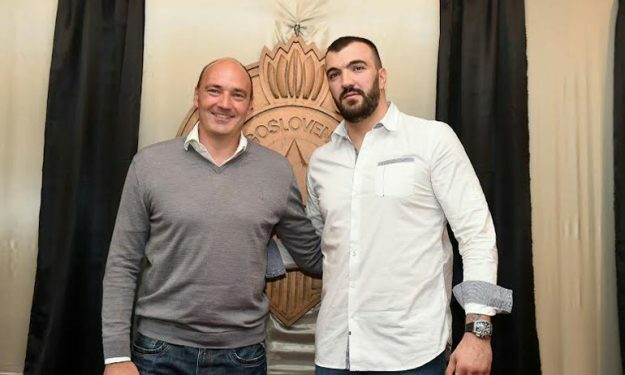 Nikola Pekovic, president of Partizan Belgrade, sent a letter to Euroleague CEO Jordi Bertomeu, informing him about the club’s withdrawal from Eurocup. The Serbian team has been barred from registering new players by the country’s basketball federation. Most recently, Partizan sport director Dragan Todoric addressed the situation by saying “We are under a threat”, to local media. AEK (Greece) was also forced to withdraw from Eurocup last week, while Zielona Gora (Poland) is expected to announce that is leaving as well. Both clubs have cited reasons similar to the ones that made Partizan remove its name from the competition. I am writing to you for and on behalf of BC Partizan NIS with a desire to thank you for all your sincere efforts in helping us to return our club in ECA’a Europen competitions as well as the moves you made in that direction. As you know, our clubs ambitious are to play with the best European clubs and our main goal is to return Partizan in Euroleague as soon as possible. However, recent happenings which are still ongoing in European basketball did not passed Serbia, our basketball federation and our club. After series of meetings in a period behind us, BC Partizan NIS is in a situation where we have no other choice but to withdraw from 7 Days Eurocup. While ago, Basketball Federation of Serbia (KSS) announced and carried into effect the suspension of our club unless we withdraw from Eurocup. Practically, it means that we would be unable to register players which would put us in a no way street where the only option is to obey KSS request which is actually implementing decisions of FIBA. With hope that you will understand this move is nothing else but a step in only possible direction which will enable further functioning of our club, I am sending you the best regards.